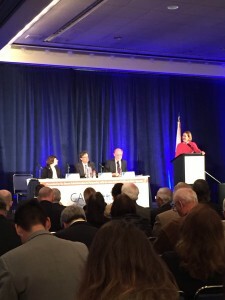 1/14/16 -California Consulting LLC Participates in a Water Symposium, hosted by the Association of California Water Agencies in Sacramento - California Consulting, INC.
California Consulting participated in a water symposium today, hosted by the Association of California Water Agencies in Sacramento. High-level attendees included Secretary John Laird, Cal. Natural Resources Agency; Secretary Matthew Rodriguez, CalEPA, and Secretary Karen Ross, Cal. Dept. 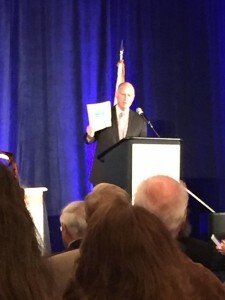 of Food and Agriculture, as well as Governor Brown, who gave the introductory address. Governor Brown and State officials lauded the $4 billion in water projects awarded through the Prop. 1 water bond. “That’s a lot, but we still have a lot to do,” said Gov. Brown. Gov. 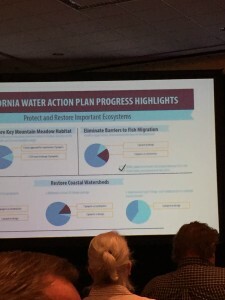 Brown mentioned that this year, they intend to continue, through state agencies, to allot critical funding to update outdated water systems, including ground and storm water projects, conveyance, storage, desalination, recycling and wastewater treatment. If your City or water district is interested in seeking Prop. 1 funding for planning or implementation of large-scale water projects, please contact us.